Detailed data on space-time ripples are set to pour in from LIGO and Virgo’s upgraded detectors. The hunt for gravitational waves is on again — this time assisted by the quirks of quantum mechanics. Three massive detectors — the two in the United States called LIGO and one in Italy known as Virgo — officially resumed collecting data on 1 April, after a 19-month shutdown for upgrades. Thanks in part to a quantum phenomenon known as light squeezing, the machines promise not only to spot more gravitational waves — ripples in space-time that can reveal a wealth of information about the cosmos — but also to make more detailed detections. Researchers hope to observe as-yet undetected events, such as a supernova or the merging of a black hole with a neutron star. The run, which will last until next March, also marks a major change in how gravitational-wave astronomy is done. For the first time, LIGO and Virgo will send out public, real-time alerts on wave detections to tip off other observatories — and anyone with a telescope — on how to find the events, so that they can be studied with traditional techniques, from radio- to space-based X-ray telescopes. The alerts will also be available through a smartphone app. “Astronomers are really hungry,” says David Reitze, a physicist at the California Institute of Technology in Pasadena and director of the Laser Interferometer Gravitational-wave Observatory (LIGO), which made the first historic detection of gravitational waves in 2015. In their previous two observing runs, LIGO’s twin detectors spotted 11 gravitational-wave signals, each emanating from an epic cosmic collision — 10 from mergers between two black holes. The slightly smaller Virgo detector joined the network in 2017 and made important contributions to several detections — in particular, to the first sighting, in 2017, of waves created by two merging neutron stars. Data from the event helped astronomers to solve several cosmic mysteries. The upgraded network should be able to detect many more events than it did in previous runs, going from an average of one detection per month to about one per week, says Reitze. Most of these events will probably be black-hole mergers, but physicists are eager to see another neutron-star collision. The increased sensitivity will enable the detectors to better distinguish signals from the constant background of noise — providing physicists with more detail on the waves. This could in turn allow for precise tests of Albert Einstein’s general theory of relativity, which predicted the existence of gravitational waves. Future detections should reveal secrets about black holes that are in the process of merging, such as how fast they spin and in which direction, says Ilya Mandel, a theoretical astrophysicist at Monash University in Melbourne, Australia. “Maybe we can start teasing out some information about whether they preferentially align,” he says. If the black holes’ rotational axes are parallel, that would suggest they have a common origin and started out as two stars orbiting together. Conversely, spins that are randomly aligned imply that the black holes formed separately and then began to orbit each other later on. The upgrades have boosted the sensitivity of LIGO’s machine in Livingston, Louisiana — already the most sensitive detector — by 40%. In 2017, technical snags hampered the other LIGO interferometer, in Hanford, Washington, and Virgo, but they have now partially caught up; Virgo, in particular, has roughly doubled the distance within which it can detect events, says Alessio Rocchi, Virgo’s commissioning coordinator and a physicist at the National Institute for Nuclear Physics in Rome. The sensitivity boosts result largely from two changes in the lasers at the heart of the observatories. Each LIGO detector is an L-shaped vacuum system that stretches over two 4-kilometre-long arms; the Virgo machine near Pisa is similar, but has 3-kilometre arms. Inside, laser beams bounce between mirrors at both ends. When gravitational ripples pass through Earth, they cause the lasers to change in length by tiny amounts. To make signals stand out better from noise, LIGO and Virgo physicists have ramped up the power of their lasers and deployed for the first time a technique called ‘squeezed light’, which is based on a quirk of quantum mechanics. Empty space constantly bubbles with elementary particles that come into existence only to disappear moments later. At gravitational-wave observatories, these random fluctuations cause photons in the laser beams to hit the mirrors at unpredictable times. This has been the main obstruction to detecting gravitational waves that are of a high frequency, or pitch, at LIGO and Virgo. But physicists can use squeezed light to manipulate these fluctuations to their advantage — in this case, by shifting some fluctuations towards lower frequencies to improve the detection of high-frequency waves. 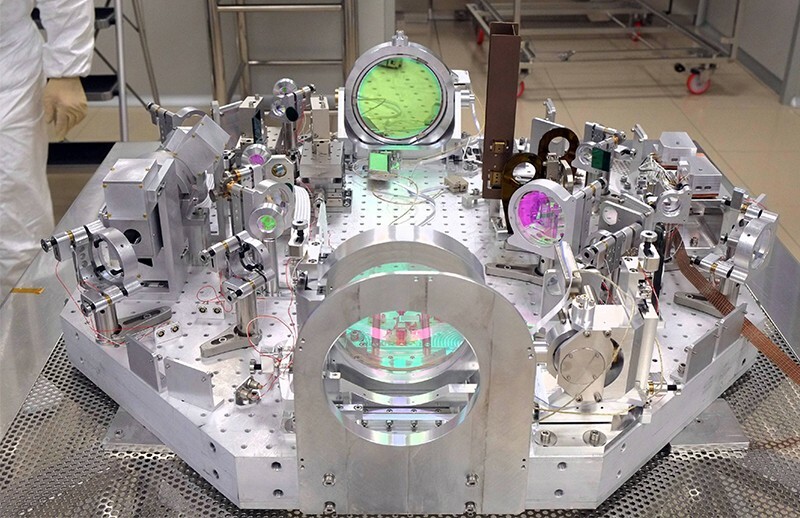 Squeezed light has been a standard part of the toolbox of quantum-optics laboratories for decades, and since 2010, it has been in operation at the GEO600 detector, a testbed for LIGO with 600-metre arms near Hanover, Germany. That year, a team first tested squeezed light on the Hanford interferometer. 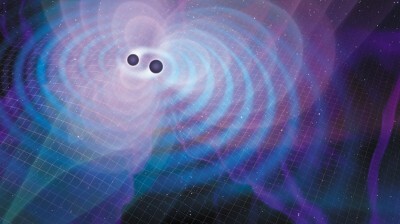 The technique could particularly improve the detection of waves created by merging binary neutron stars, or of smaller black holes. That’s because as lighter objects spiral into each other, they circle each other at up to 500 times per second right before they collide, and their waves become so high in pitch that they fall out of the interferometers’ range. Higher sensitivity could enable the detectors to track the objects all the way to their fiery end. 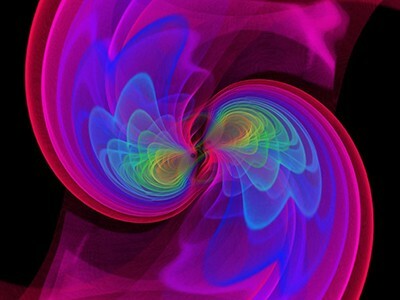 Astronomers around the world are also preparing to follow up on detections of gravitational waves and to examine the same events using conventional techniques — including radio, optical and X-ray observatories — thanks to public alerts that will be sent out when a detection is made. Meanwhile, researchers at the newly built KAGRA gravitational-wave observatory in Japan are rushing to tune up their detector in time to join the network in early 2020. Having a fourth detector will be especially helpful to locate the position of an event in the sky with greater precision.